Where our 1983 European Adventure truly kicked off. Eurail pass in hand and without hotel reservations, our youthful optimism guided us in knowing that finding a place to stay was only a matter of time. Soon after arriving, we met a woman at the train station who offered us accommodations in her "pension" (pronounced "pen-see-own"). Truth be told, the 'pension' was a room in her house and was located a little outside of Salzburg but it was comfortable and nothing that a bus ride couldn't fix to get into town. It was also my first experience sleeping on a feather-bed with a duvet. For that, I am eternally grateful. Eurail Pass 2013: You have to purchase them before you leave - outside of Europe. We purchased our train passes for Spain from Rail Europe two years ago and found the company was great to work with. No snags. There are several different types of Eurail passes. The "Global" Eurail pass offers unlimited travel on the national rail networks of: Austria, Belgium, Bulgaria, Croatia, Czech Republic, Denmark, Finland, France, Germany, Greece, Hungary, Ireland (includes Republic of Ireland and Northern Ireland), Italy, Luxembourg, the Netherlands, Norway, Portugal, Romania, Slovak Republic, Slovenia, Spain, Sweden, Switzerland and Turkey. The continuous pass is available for 15 days, 21 days, 1 month, 2 months or 3 months. The flexipass is available for 10 or 15 days of travel within a 2 month period. Prices are depending on the type of pass you want and for how long you want to use it but they are a great value. Back to Salzburg: The Salzach river divides Salzburg. One side is contemporary and modern, the other side, Old Town (or Altstadt), is a World Heritage site, preserving the 17th century (!) Baroque architecture. The Salzburg Wine Festival just happened to follow Oktoberfest. Baroque Architecture of "Old Town"
Chalk drawing on the street - before it was cool. I have always thought of Vienna as "the most romantic place in the world". 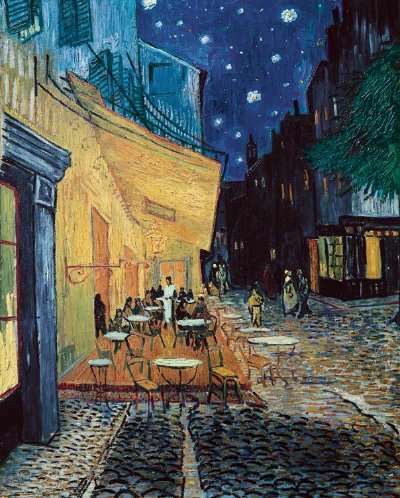 Cobblestone streets, lit up at night with gas lanterns - outdoor dining on the sidewalk. Imagine, Medieval and Baroque architecture, classical music, opera, The Danube and The Waltz. You just can't get any more romantic. One day, Mr. Something and I will travel to Vienna. I just know he will love it as much as I did. For some reason, when I think of Vienna, I think of this painting. A Parisienne scene, it always brings me back to Vienna.